The friendly corner gas station. A place for travelers to break from the road as thirsty vehicles receive their fill. Clothing styles and vehicle stylings have changed through the years as corner gas stations and their pumps remain, progressing by adding tempting, quick conveniences inside. 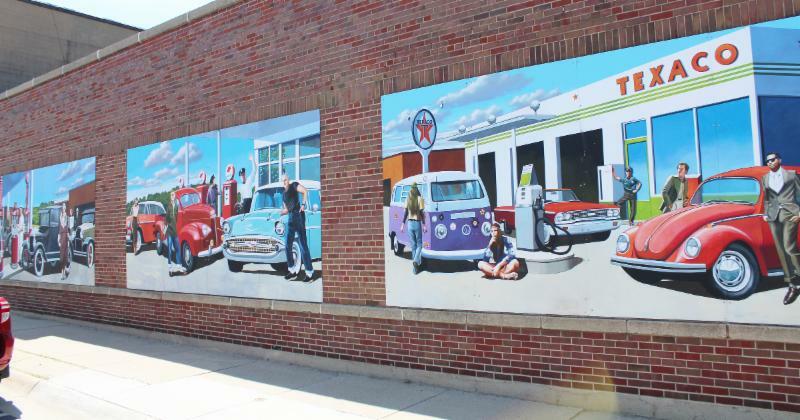 A bright new mural in downtown Portage depicts three distinct eras of people and cars at gas stations--the 40’s, 50’s and the 60’s. Fittingly located on the NAPA Auto Parts building at 125 E. Edgewater St., the three-piece mural was painted by artist Kelly Meredith, who also painted the mural on the east wall of Wilz Hometown Pharmacy in 2017. The mural is the sixth in the series of murals comprising the Portage Mural Project which started in 2012. Other murals are located at: Riley’s Bar and Grill, 1314 W. Wisconsin St.; DAAR Engineering, 151 E. Cook St.; 806 Silver Lake Dr.; Wilz Hometown Pharmacy, 140 E. Cook St., and another to be relocated to the U.S. Bank drive-up at 212 W. Edgewater St. Thank you to the Portage Business improvement District for financing this latest mural and to Tyler Hoel of H & M Contracting and the Portage Parks & Recreation Department for installing the mural. Melody Brooks Taylor, Executive Director for the Museum at the Portage, will talk with us about the Museum and their displays for this season. The History of Portage is captured here with unique artifacts, photographs and more. You will get to explore the history of our community. at 608-742-6242 to register. Seating is limited! 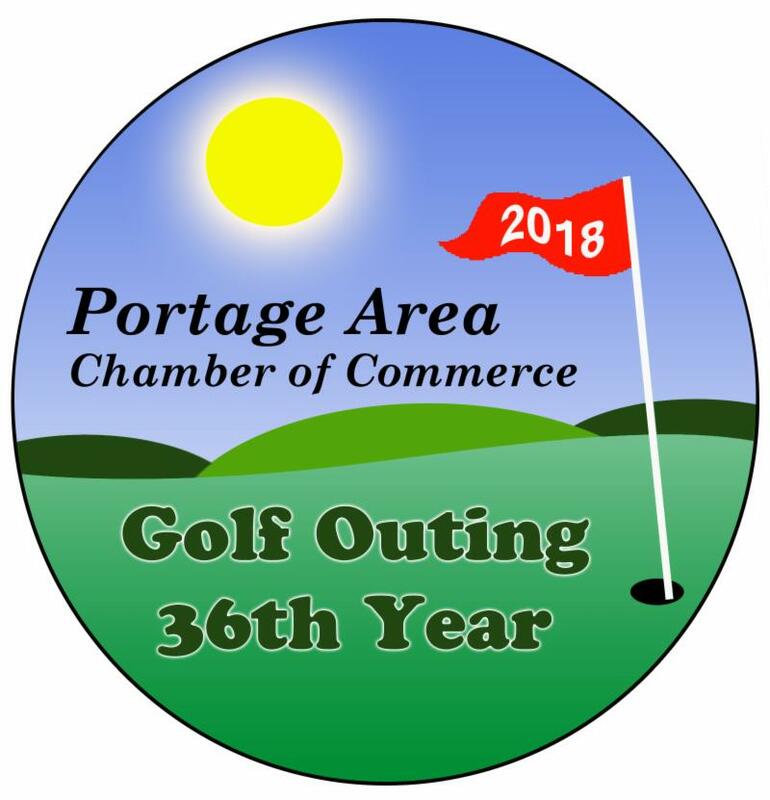 The Portage Chamber Golf Outing took place with golfers hitting the links on a beautiful day at the Portage Country Club on June 13. The team of Tyler Hoel, Justin Olson, Scott Mowatt and Josh Glendenning took home the trophy this year. Congratulations to Greg Bindl who hit a hole-in-one on the par-3 number 16. Sky High Camping Resort offers fun for the whole family! 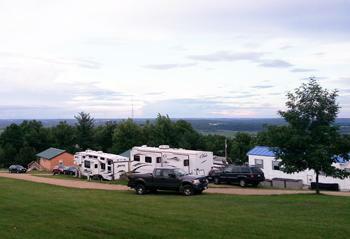 Located atop of the Baraboo Bluffs, Sky High Camping Resort offers beautiful views and is conveniently located near the Wisconsin Dells, Devil’s Lake State Park, the historical sites of Portage and other attractions. Sky High offers cabin rentals and campsites of all types, including private, wooded sites, open grassy sites, and large pull-thru sites to accommodate even the largest of RVs. All sites include water and electric, and many include sewer. Bring your family for fun, themed weekends, featuring activities and events for the whole family to enjoy, such as bingo, karaoke, hayrides, crafts, outdoor movies, and much, much more! Call Sky High Camping Resort, N5740 Sky High Drive, at 608-742-2572 for more information and to book your stay now! Judging by the happy reactions from the kids in crowd to each firework exploding in the sky over the Wisconsin River, this year's Festival Foods Fireworks were a huge hit. 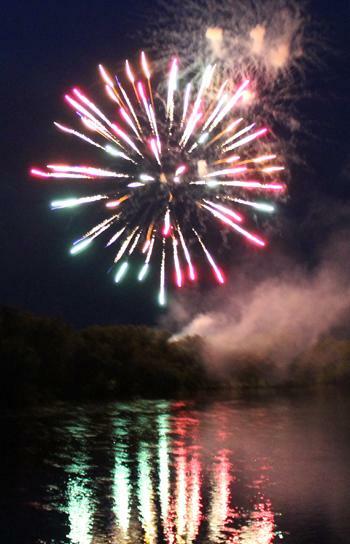 Thank you to Festival Foods for contributing to a great fireworks display this past weekend. The fireworks capped off an evening that unfortunately did not include the sweet sounds of the Wisconsin Chamber Orchestra filling the air at Pauquette Park as Mother Nature had other plans in store. The Portage Chamber is working on a possible alternative event with the orchestra and will have a future update. Looking for a Hot Deal? See our list? for posting a Hot Deal, so post away! If you have questions, call the Chamber office at 608-742-6242 to get started. Click here to see the specials that are currently running! 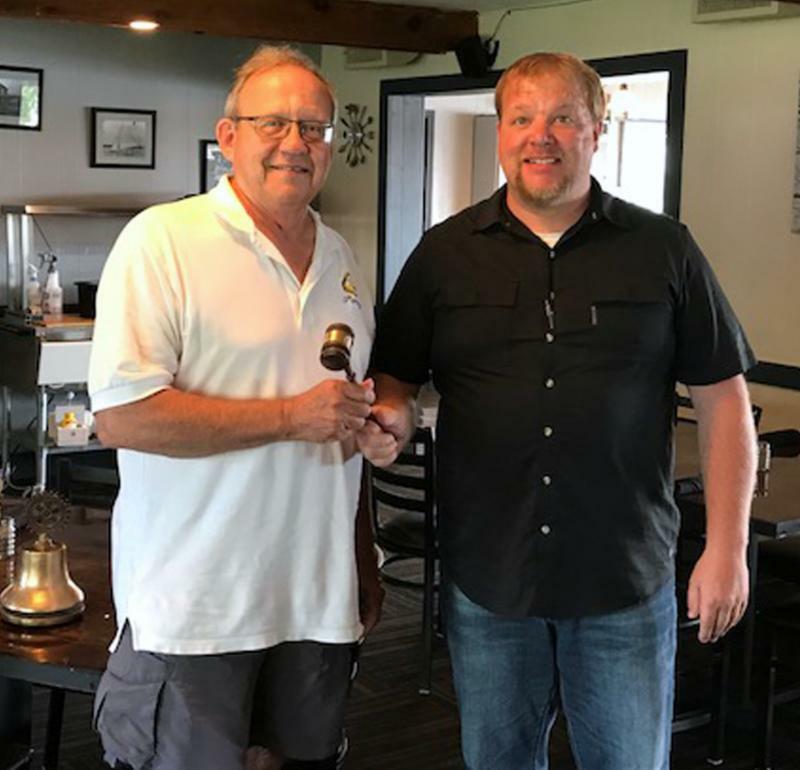 Portage Rotary is proud to announce their newest president, Rich Jacobson, and look forward to an upcoming year of wonderful leadership! Thank you to outgoing president Cory Otto of Turning Point Realty. Pictured at right are Rich and Cory during the recent gavel exchange celebration held at NorthShore Restaurant. Portage Rotary is a service group made up of local business owners and managers with a main objective of service - in the community, in the workplace, and throughout the world. Rotary volunteers build goodwill and peace, provide humanitarian service, and encourage high ethical standards in all vocations. The Rotary motto is “Service Above Self.” Portage Rotary meets Mondays at Noon at Dino's. Are you interested in joining a service club? Attend a meeting to find out more about this fabulous group! Enjoy the benefits of a smoke-free life and reduce your risk of tobacco related diseases by participating in Divine Savior Healthcare’s Smoking Cessation Course. This 7-week course is led by our Certified Smoking Cessation Specialists. The cost is $75 for a 7-week session. 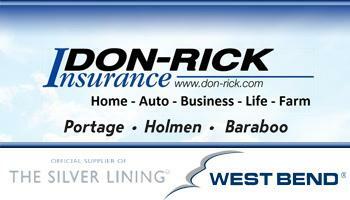 Call 608-745-5918 for information on how to get started. 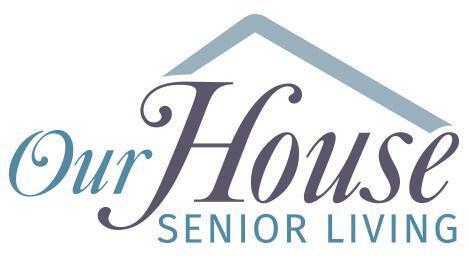 Mark your calendar for the 7th Annual All things Senior Expo hosted by Our House Senior Living on Thursday, November 1 from 10am to 2pm at Ho-Chunk Gaming in Wisconsin Dells. 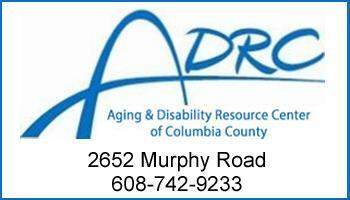 The All Things Senior Expo hosts 600 seniors from regional counties and features exhibitors, wellness checks and educational breakout sessions. All attendees receive $10 in Free Play for coming to the Senior Expo. Support this event by becoming a sponsor or vendor. Gold ($750), Silver ($500), Bronze ($250) and Hospitality Sponsorships ($150) are now available. Vendor booths are $85 before Sept. 4, 2018. For more information, contact Briana Enger at 608-566-4799. Sign up now for the CrossFit Kids & CrossFit Teens 4-week session that runs Tuesdays through Thursdays beginning July 10. The times for the sessions: CrossFit Kids (ages 9-12) are from 11am to Noon and CrossFit Teens (ages 13-18) are from 9am to 10am. The sessions run through August 2. To sign up, go to the schedule at portagecrossfitcooperative.com and click on the July 10 CrossFit Kids or CrossFit Teens class. For more information, email us at portagecrossfit@gmail.com. Celebrate Community Appreciation Day at Edgewater Home & Garden with sales and specials throughout the store beginning at 8:30am on Saturday, July 7. The Portage Service Club Association will be grilling out at 11am to raise money for the Pauquette Park Band Pavilion. Plus, 10% of all sales for the day at Edgewater go toward the project. 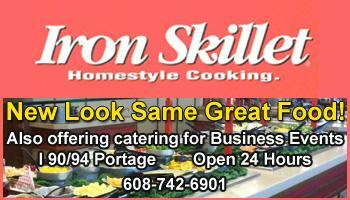 Food pre-orders can be made with the Chamber office at 608-742-6242. 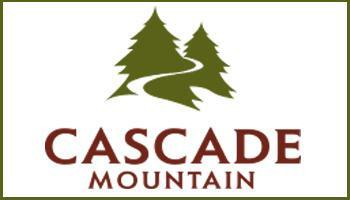 For more information about the event, call Edgewater Home & Garden, 2957 County Highway CX, 608-742-6558. 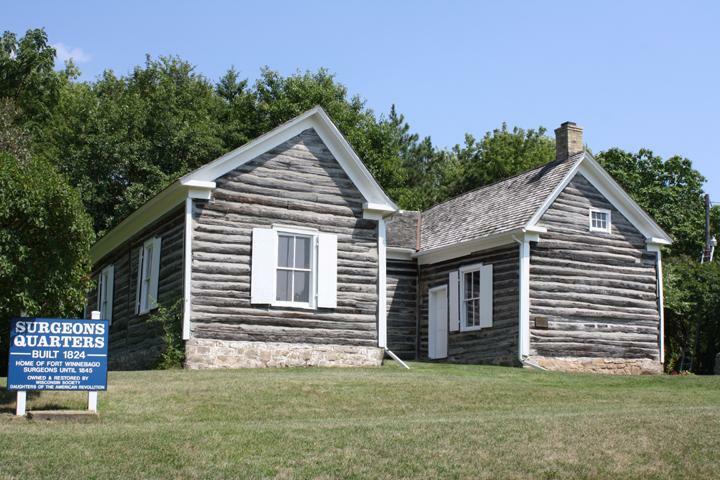 Fort Winnebago Surgeons Quarters celebrates its 200 years of existence this year with a Bicentennial Weekend event on Saturday, July 21. A flag raising ceremony starts at 10:15am and a luncheon begins at Noon. The cost for the luncheon is $15 with a program by Herman Bender on the American Fur Trade. Special tours take place from 10am to 3pm with re-enactors, presentations and demonstrations. 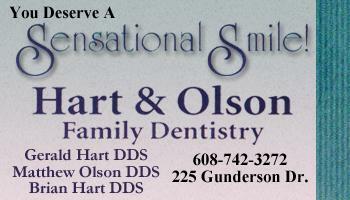 For more information, call 608-742-2949. Only 1,000 tickets are available in this year's Portage Center for the Arts BIG Summer Sweepstakes event, with a $1,000 Grand Prize! All proceeds support programming at Portage Center for the Arts! Call 608-742-5655 to request tickets, or stop by the office at 301 E. Cook St. today. All tickets must be returned before July 31, 2018. Visit the PCA website for Official Rules. Kari Tracey Agency recently moved to 1606 New Pinery Road, Suite B at the intersection of New Pinery Road and Haertel Street. Consider American Family Insurance for your home, auto, business farm & ranch. 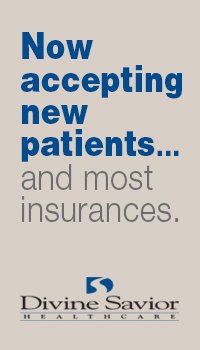 Visit amfam.com for more information. The Columbia County Fair is scheduled for July 25-29 at the Fairgrounds in Portage. This year's main attractions include a truck/tractor pull, motorcycle racing, rodeo and demo derby. Full a complete schedule of events and exhibits, click here. Come tour the downtown on Saturday, July 7 at 10am. Join local historian Judy Eulberg as she takes you on an engaging tour of this charming historical district. 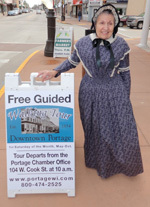 This free tour departs from the Portage Chamber office at 104 W. Cook St. and lasts about an hour. We look forward to seeing you on August 4! 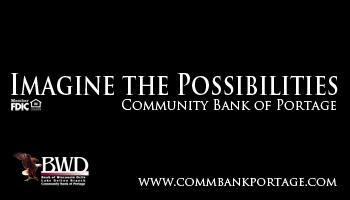 For more information, call the Portage Chamber office at 608-742-6242. 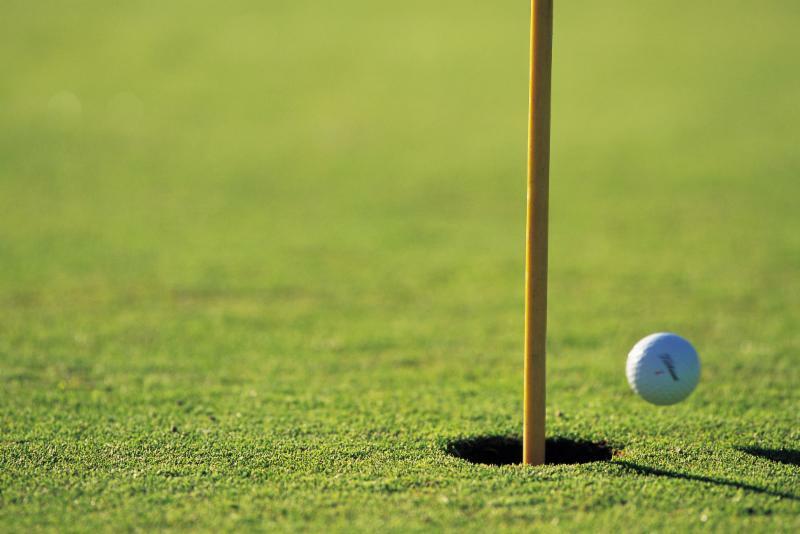 The public is invited to join the Portage Elks for their Exhausted Rooster Golf Tournament, an 18-hole outing with a cart at the Portage Country Club on Saturday, July 14. Dinner will follow at the Elks Lodge. This handicapped, 4-person scramble begins with a shotgun start at 8am with proceeds funding the Portage Elks and local Elks charities. 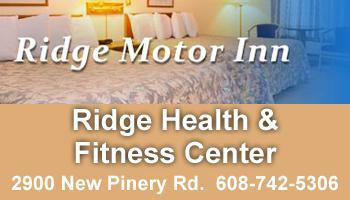 For more information, call 608-617-5519. 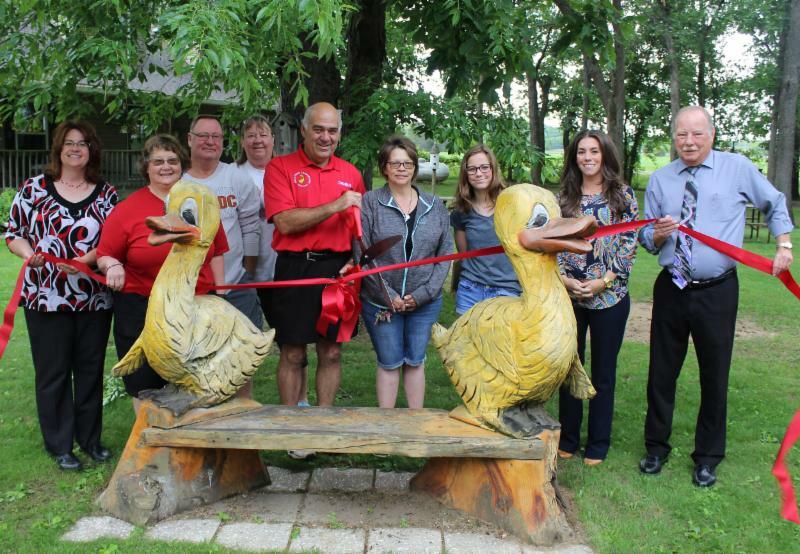 A ribbon cutting was held at Duck Creek Campground, W6560 County Highway G, Pardeeville, to welcome new owners Kristi and Denny Endres to the Portage business community. The campground offers spacious campsites for family camping with swimming in a friendly atmosphere. 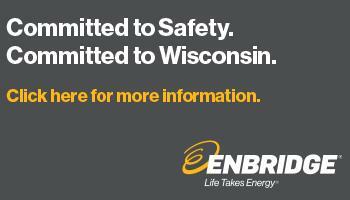 For more information, call 608-429-2425. 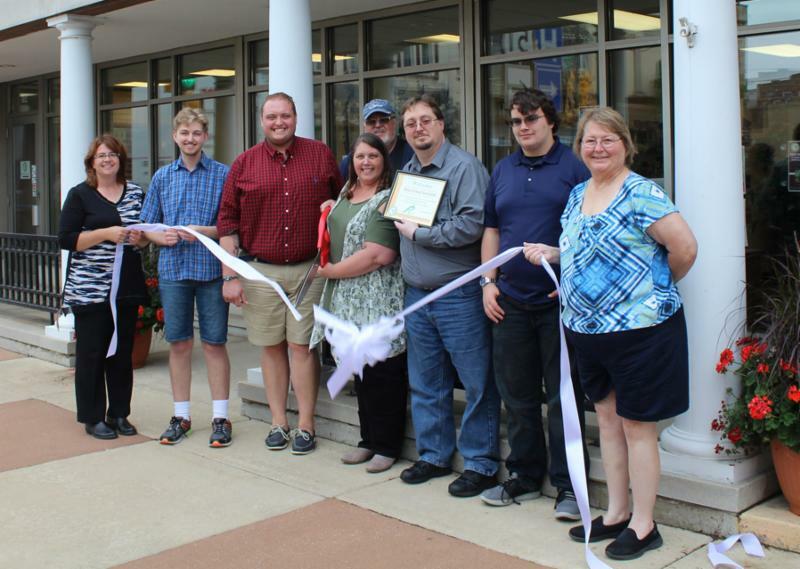 A ribbon cutting was held at the Portage Chamber to welcome new member Koss Virtual Assistant. With 18+ years of experience helping people get tasks done so they can grow their business, Wendy is here to help you succeed. Visit kossvirtualassistant.com to find out more! For more information, call Wendy at 608-729-3020. Rotary - Meets Mondays at Noon at Dino’s Restaurant, 2900 New Pinery Rd. Lions Club - Meets the 2 nd and 4 th Wednesdays at 5:30pm at Dino’s Restaurant, 2900 New Pinery Rd. 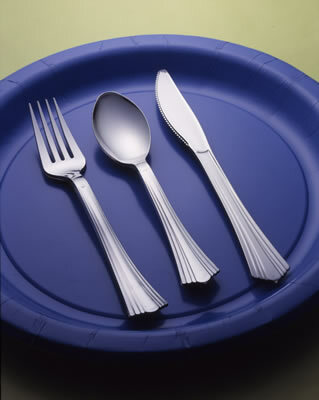 Kiwanis - Meets on Wednesdays at Noon at Pizza Ranch, 2905 New Pinery Rd. Optimists - Meets on Tuesdays at 7am at Dino’s Restaurant, 2900 New Pinery Rd. Women's Civic League - Meets 2nd Wednesday of the month at Dino’s Restaurant, 2900 New Pinery Rd. For details on these events and more, click here.